Hello anyone reading this blog. Normally I do book recommendations, but I've been busy writing lately so I haven't had a lot of time to read anything new. However, I recently decided to take a little break from writing and unplug my mind by watching some movies. Here's a little breakdown of what I saw. I love comic book/action movies. Superman has a very special place in my heart, and the new Batman movies are some of my favorite. 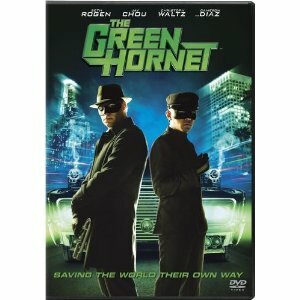 That said, I watched the Green Hornet yesterday and this movie fell flat for me. I like Seth Rogen, but the film dragged in certain spots and I kept waiting for it to be over. Final Thought: Watch if you're really bored and there are no books available. I also recently watched the movie Thor. I actually liked this one. I thought a film about a guy running around carrying a big hammer (or whatever the technical name is) would be stupid, but I thought it had some good action and humor. The only thing was that the romance between Jane (Natalie Portman's character) and Thor felt a bit rushed. Final Thought: Definitely worth renting, though I'm glad I didn't see it in the theater. In mid- to late-'60s Britain, an unusual yet colorful subculture sprang up and thrived as a product of the upswing in British pop music, only to meet its doom within a few short years. Though the BBC functioned as the country's main source of news and music, its programmers offered very little airtime to rock & roll -- which left an overwhelming need unfulfilled. 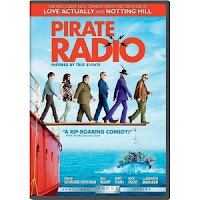 In response, small bands of "pirate" radio enthusiasts set up broadcasting towers on boats just outside of English boundary waters, and transmitted signals to an estimated 25 million listeners, 24 hours a day and seven days per week. This movie was so good, but you can't go wrong with Bill Nighy, Phillip Seymour Hoffman, and Nick Frost. It was funny, sarcastic, and something you'd expect for a movie based in the rebellious sixties. If you get a chance to watch it, I'd highly recommend it. Final Thought: Must...get...on...DVD.